Black Friday 2018 is officially here, which means it’s time to save some serious cash on products from all the most popular categories in retail. In 2018, that obviously includes robot vacuums. 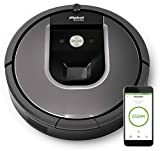 There are dozens of different robotic vacuums on sale right now for Black Friday, but some sales are better than others. That’s why we’ve dug through them all and picked out the best sales of the season. The Roomba 960 robot vacuum is definitely at the tippy top of the list. 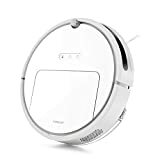 iRobot announced that this beloved $700 model would go on sale for $500 for Black Friday, and that’s definitely a killer deal. But Amazon apparently wasn’t happy with just a $200 discount, because the nation’s top online retailer has this model on sale for just $415.99! 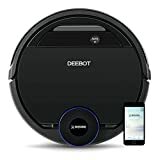 If you still want a Roomba with Alexa but you don’t want to pay that much, the mid-range Roomba 690 is on sale for $240 today. 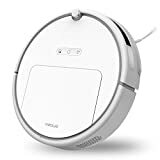 There are plenty more robot vacuums to be found in our roundup of course, and prices start at just $149.99! Check out all the Black Friday deals below. Alexa and Google Assistant Compatible. Control your DEEBOT with the Ecovacs app. Draw virtual boundaries, select specific areas to clean, set a specific schedule and more. Includes our latest Adaptive Floor Sensing Technology. When the mopping pad is off, the robot will double the suction power on carpet. When the mopping pad is on, the robot will turn away when it detects carpet. OZMO mopping is a complete system with an electronically-controlled water pump, sensors that monitor water flow, and controls to stop the flow to ensure a consistent cleaning result. 110 minutes of run time with auto charge and resume technology. Includes 1 year manufacturer’s warranty and extra accessories kit. 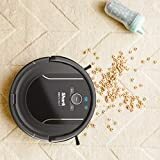 Worry-Free Cleaning: Set Boundary Strips to focus your cleaning, and the slim (2.85”) vacuum uses 1500Pa* to clean only the areas you want. APP Smart control: Xiaowa series robot C10 use Mi Home App to see/view the working program and information, control moving direction, check accessory status and switch clean modes. Compatible with android, IOS and Alexa. Note: this is US version and the plug of US version differs from European version. Effective clean: Cyclone clean system consist of 1600Pa strong suction and the streamline air duct which keep the maximum suction, cleaning all particles and dirt on the floor. 640ml dust bin can contain nearly a week’s trash, reduce frequency of empty the dust bin. 3D Cleaning System: The main brush floats up and down in order to always keep close to the ground while the side brush adjust its speed according to different clean situation, cooperating perfectly to provide a pure clean. 10 types of sensors: They help C10 to clean the environment intelligently and switch cleaning strategy automatically: moving along the wall, surrounding obstacles, moving back and retracing the route, ensure an entire cleaning. 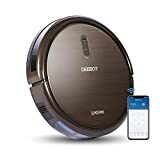 Carpet function: Crossing obstacles of 2cm high with ease, C10 robotic vacuum moves from floor to carpet smoothly and automatically switch to the maximum suction to vacuum the carpet. *Note: Please turn on the Carpet Mode in your APP. And kindly suggest NOT to use on dark or long-pile carpet. Authentic products from ROBOROCK TECHNOLOGY CO. LTD enjoy 1-year warranty. 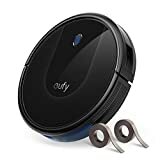 Automatic Carpet Mode: This E20 robot vacuum activates the maximum suction automatically on carpet to pick up dirt effectively. With FCC certification and enjoy 1-year warranty service. XL dust bin allows for minimal interruption while cleaning.